THE Federal Government wants the site of the Marree Man added to Australia’s official list of places of outstanding significance. Environment Minister Josh Frydenberg says the Government has asked the Australian Heritage Council to conduct a National Heritage assessment of Finniss Springs mission and pastoral station. 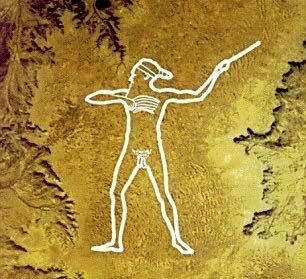 The station, west of Marree, includes the site of Marree Man – a geoglyph of an Aboriginal man, incised into the surface of a plateau. Arabunna, Kuyani and Wangkangurru people have traditional connections to the station, which was a mission in the 1940s and 1950s. The site to undergo assessment covers almost 2000sq km on the south side of Lake Eyre. media_camera The Finniss Springs homestead, which the government wants added to the national heritage list. “As part of its assessment the council will seek feedback from the public, stakeholders and all affected people with rights or interests, including owners, occupiers and indigenous people,” Mr Frydenberg said. The Marree-Arabunna Peoples Committee nominated the place for historic, natural and indigenous values. The application says the homestead and mission site symbolise the reconciliation and transition between the Aboriginal and European worlds. “The mission was unusual, if not unique, in providing an environment where Aboriginal families could live together, find part-time employment on the station, and children could receive both traditional and European education,” it said. The area was also home to extensive engravings and significant flora and fauna.